At the end of the summer I want to catch you up briefly with what we have done in the Foundation in recent months. Later I will bring you several pieces of reflections on current issues. I have a spot of time right now; the plums have fallen off the trees, are cut and frozen for later projects of jam and desserts. Deborah has trained yet another person in the care of Edith Schaeffer --, a detailed and workable, but intensive, effort to maintain as much of a life for Edith Schaeffer as she deserves with physical care, mental stimulation and physical movements to combat the natural decline with of age. Nature does not give us the rules to live by, for life is a struggle! So, yesterday we went for lunch with them in a garden restaurant, looked into the church where we got married 47 years ago and then drove to a large abbey of the Cluny reform movement in a small village to hear an a capelloa choir’s beautiful performance. A fondue supper opposite the town gate, facing the church steeple in the warm evening sunlight, was a good conclusion of the day. On the way back, the Mt. Blanc was highlighted in brilliant white from eternal snow in the distance above the harvested wheat fields in the foreground. I am still working on the text for a curriculum and accompanying book to teach about Christian ethics about in work, business, human resource development and such to people who find themselves in odd places, difficult situations and conflict zones. The work ethic, respect for people and materials used, honesty to time and local human need are all part of it., as So are the basics derived from the mandates in Scripture to have dominion over self and the world around us, to resist evil and to glean basic insights on how we should behave from God’s attitude toward Hhis Ccreation and people basic insights on how we should behave. There is progress in this elaboration of ideas to help people in hardship areas understand better what philosophical, practical and ethical components must come together for to arrive at a fuller understanding of life in business and education. I am drawing on my own past work in the area of relief and development as well as books like Shop Class as Soulcraft by Matthew Crawford. I just finished an Introduction to a new edition of Edith Schaeffer’s “Christianity is Jewish”, requested by an appreciative distributor of the book. With the focus on the continuity of God’s work from cCreation through the fall of Adam and Eve to the redemption through Christ, Edith Schaeffer not only shows that Jesus is the promised Messiah, but also that Christianity is often at fault for not seeing the whole picture. In the introduction I point out that many Christians in fact follow a Greek interpretation ofteaching on spirituality and turn their faith into the equivalent of a Greek mystery religion. : everything is in the heart, in the emotions, in the soul, in personal privacy and in relation to eternity elsewhere Rrather than believing what is true to the mind about real history,; body and soul,; now the present age and eternity;, and all that in search of truth, love and justice, they believe that everything is in the heart, in the emotions, in the soul, in personal privacy and in relation to eternity elsewhere. However, according to Jewish Biblical teaching, Rredemption relates not only to the salvation of the soul, but to God repairing all of Ccreation for the kingdom of God. What else have we done? In May I spent a long weekend, once again, with about 35 German students and adults in a seminar. This is the fifth year of meeting with them. Questions of about the Christian Life, how do we interact with society and what are our moral obligations are in an increasingly a-moral world were the center of our lectures and discussions. Perfection is a utopian vision which will always attract people, whether politicians, philosophers, business people or lovers, from due to a desire to overcome the limitations and frustrations of a fallen world. Historical efforts to “bring in the kKingdom” have often crushed real human people before they could possibly inhabit it, whether in Plato’s Republic or Stalin’s abolition of private property and Hitler’s elimination of Jews in pursuit of his version vision of a better world. In June I lectured to French pastors in Geneva about the nature and effects of postmodern thought, its origins, attractiveness, effects and failings. We worked well together, and I shall return for another group in late January 2012. We were open for students as well, but the low exchange of the US $$ prevented several from coming and also heavily aeffects the contributions we receive for the Foundation. We kept July free from outside interruptions, (while continuing with the regular work), to enjoy Isaac and Jessica after their year away in Taiwan, where Isaac immersed himself into learning the rudiments of Mandarin, a most complicated and fascinating language, adding them to Swahili and Afrikaans which he studied during his Junior year in Africa. Isaac is now off to Austin to teach history and English literature to Hhigh Sschool students. I was delighted to receive the first copies of my new book, now available directly from the publisher Wipf and Stock in Eugene, OR. (https://wipfandstock.com/store and from AMAZON.com in a few days. Neither Necessary nor Inevitable: History Needn’t hHave bBeen lLike tThis” is an invitation to consider how significant our ability and responsibility are as we create history. True, we always live in an inherited and defined context. It surrounds us and partially shapes what we see and how we understand things. It was produced by previous people’s choices and by God creating a real world. But the explanation for what already is, does not then make us do the next thing. In our derived autonomy we make choices which are not programmed, necessary or inevitable, though they are known by God ahead of time. Therefore, at any moment, history could also go another way:. Let us therefore ask for wisdom and learn from past mistakes! One reader sent me this favorable comment: “Your book was terrific. I feel it really has a clear direction on biblical action vs. fatalistic deterministic acceptance of things. Your perspective was very informative and I appreciated and agreed with your understanding. Please be aware that I am sharing your book with everyone who is a thinking Christian... and some who are not Christians who are thinkers. Thank you for a great work”. We were deeply shocked by the murder of so many in Norway at the hand of a right-wing and xenophobic man, who thought he would defend with his violence his vision of Europe against real threats from the outside. By the time you get this letter, Wwe shall know more , by the time you get this letter, about his background and reasoning. With long and careful practice he set out to bring about change in society by force of a car bomb next to a government building and then went on a shooting spree for over an hour among children and students attending a political summer camp on a small island. For now we hear of his desire for a revolution to safeguard a Christian Europe against the breakdown of its formerly more unified culture through secularism, political correctness and the immigration of specifically Muslim believers. He refers to others in the US and Europe with similar ideas and his association with right-wing politics and Christian writers and lecturers. This will allow some to see in Christianity a similar ideological absolutism as is held in Islam. That has been suggested before, using the term “fundamentalist” to describe a strict and verbal, though mostly inaccurate, reading of the respective texts; or “dDominianism” to describe an intended dominion by Christians over all secular institutions. As abhorrent as the acts are, we need to recognize that recent sharpening of discourse in religious and political circles have also made large contributionscontributed greatly to the harsh rhetoric with the use of terms of warfare terms and other manifestations of radical confrontations. Language that was formerly used mainly in sports between teams -- to win over, to beat, conquer and smash the other team, to take back the field --, has become common in matters where that imagery is inappropriate. In sports we look for clear winners and clear losers in a game. In soccer we even give extra time and then any number of “sudden death” shots on the goal until one side wins, for we crave and demand a clear, decisive conclusion rather than the undecided, unclear, even outcome. But that is the world of sports, not life in the Greek “‘polis’”, from which we derive terms like “politics,” “police,” and “politeness”. That requires more of what is appropriate for a community or family than a game of sports: working together, -- a willingness for to compromise, an acceptance of what is possible and a long-term perspective of more gradual change and improvements from current, almost constant, dissatisfactions. The pPerfect, or even my personal view, will most likely never be fully implemented. It is not a question of what you would do if you were alone on an island, but rather what is possible, what you can live with, in the community of the home, the town, the country. Even the Greek democratic ‘”polis’” is not our final or best model for such a community perspective. It excluded women and slaves, and under Plato’s influence saw an assigned role for each person for the sake of public order,: a perspective often drawn on by subsequent dictatorial projects and utopian temptations all the way up to Stalin and Hitler and beyond. They wanted to control the crowds so that an actually impossible purity would result at the hand of some, and then be imposed by them on everyone, at tremendous cost of human life. They wanted to control the masses to achieve a purity that was in practice impossible. This would be imposed by a few on everyone at a tremendous cost of human life. Christ uses the images of intermingled the field of wheat and tares, and the herd of sheep and goats, intermingled to describe life among people on earth until He establishes his kingdom, when the angels will sort out the imperfect from the perfect. A form of greater or lesser imperfection is the best we can ever hope for in a fallen world of neighbors. The elimination of “tThe Oother” is the project of utopians, not of Christians and or other seasoned people. The reason for this is twofold: for one, Christ addresses the reality of a world under sin; it is not only those personal transgressions, -- jealousy, envy, theft, anger etc. —that mark each person of the human race as guilty. In addition wWe also live in a damaged history damaged from by earlier sins. : Nnature, including human nature, is damaged from the fall of Adam on. Death, and the fear of death, has been passed on to all men by virtue of the sin of one man, Adam (Romans 5:12), even before their own guilty choices. The human condition and the context of all history are already sinful before anyone ever sins personally and becomes guilty. That is the meaning of “original sin”, ,” which is quite different from some people’s view of original sin or guilt. Passages like Romans 7 and John 9 explain that sin is not only present when we do something wrong. It is already the underlying damaged condition of all Ccreation awaiting for redemption. That does not mean that we cease in our efforts to address real grievances and threats to life, liberty and the pursuit of “happiness”. .” Here we must remember that such pursuit was understood differently in times past, when consumption and pleasure were not seen as the meaning of life, the wayas it often is often today central to a person’s interest. : “hHappiness” was the right to be an educated and responsible citizen in relative safety who can could hold and taste the fruit of his labor and invests it for, and share it with, his community in many forms, including paying taxes, fees and salaries!! Whether in the face of globalization or for more personal and psychological reasons, we have become aware of a sharpened discourse from a number of extreme positions. Scott Douthart has remarked that “for decades, Europe’s governing classes insisted that only racists worried about immigration, only bigots doubted the success of multiculturalism and only fascists cared about national identity. Now that a true far-right radical has perpetrated a terrible atrocity (in Norway), it will be easy to return to those comforting illusions. “But extremists only grow stronger when a political system pretends that problems don’t exist. Conservatives on both sides of the Atlantic have an obligation to acknowledge that Anders Behring Breivik is a distinctively right-wing kind of monster. But they also have an obligation to the realities that this monster’s terrible atrocity threatens to obscure” (IHT July 26, 2011). In this context, Christendom never advocated a practice of which the idealized caliphate of Osama bin Laden’s vision is the mirror. His was a dream-world cause through which to enlist the masses in apocalyptical warfare against an “infidel” enemy supposedly threatening the territory, morals and culture of an imagined community of devout believers. Roger Cohen (IHT July 25, 2011) is right to point out certain parallels between Breivik’s particular vision and the fantastical image of restored 7th-century dominion of the caliph. Bin Laden inveighed against “cCrusaders.” Breivik attended a 2002 meeting to reconstitute the Knights Templar, a Crusader military order. Both wanted to create a revolution in an effort to eliminate, once and for all, a constant bother, challenge and disruption to the vision of a harmonious culture according to their visions, preferences or mandates. Daniel Pipes helps us further with insights in his book on the Russian Revolution: “Whether the conflicts and resentments that exist in every society are peacefully resolved or explode in revolution is largely determined by two factors: the existence of democratic institutions able to redress grievances through legislation and the ability of intellectuals (ideologues or politicians) to fan the flames of social discontent for the purpose of gaining power. “For it is intellectuals who transmute specific and therefore remediable grievances into a wholesale rejection of the status quo. Rebellions happen; revolutions are made. These groups, these “managers,” are anyone with widely accepted leadership pretensions, who may be craving political power, regardless of whether they are educated, thoughtful and politically active. Anyone qualifies who is committed to the public good, even if they were semi-literate workers or peasants in Russia before and after the revolution, or nationalists, isolationists and those largely ignorant of history and the wider world around them. To belong, one has to subscribe to certain philosophical assumptions about mMan and society derived from,( in Russia) the doctrines of materialism, utilitarianism, and positivism,; and in the wWestern world the doctrines of color, gender and national exceptionalism. Breivik assumed such agency for himself and his decade -long preparation for his act. The assumption that “for anything to change everything has to change” is, however not limited to a lone person here and there. It is rather the outlook of any utopian perspective that believes that perfection, cleanliness, freedom, the ideal of anything is achievable. Plato wrote The Republic for the purpose of setting out an ideal society after the double horrors and chaos of the war between Athens and Sparta as well as the early experiments with popular democracy. Order, form, and assigned social roles would fix the problem and eliminate the uncertainties. Hitler sought the same through the elimination of the less-than-human;, Stalin abolished private thought and property. Radical environmentalists, feminists, socialists or libertarians all know what it takes to remove all problems: remove most people! Such utopian visions are, throughout history a dime a dozen throughout history. They express in images a desire for perfection through total change in order to resolve all tension and to create a tidy world. They hold out the real possibility of healed wounds of allny kinds. They are found in the current political posturing in America between the rRight and its vision of a perfect past, and the lLeft with a vision of a perfect future; between “no taxes” and “everything through taxes”. .” Each side believes that they have the key to a better, more moral world in their possession and feed on present discontent rather than addressing it with workable propositions. It is very interesting that a growing number of wealthy Americans and Europeans suggest raising taxes on their income, as they find it unjust to demand austerity on the poor and middle classes alone. These people feel the effect in poor schools and declining services, while they can still provide the usual by their own means in private schools and protected communities. The riots in English cities, the discontent in Paris a few years ago, the burnedt cars in Berlin occur from a social and a criminal context. The obvious breaking of law is preceded by a more gradual breakdown of social mores and cohesion. It nurses on social realities also present in American society: -- The neglect of children and family life;, the poor educational content leading to large-scale ignorance about reality; having little or no other meaning to life than the acquisition and consumption of things and the pursuit of pleasure, money and things as the new fetishes. In a dull existence recreational violence and laughter will momentarily stave off boredom. Phillip Blond wrote (IHT 8/25/11) that people “were acting out in a savage manner the values that increasingly seem to govern and embody ([us)]: Ruthless self-interest coupled to rootless consumer nihilism”. .” Since the wealthy have insisted that their values are best for everyone, “everyone” therefore tried them out during the troubles to play the system for themselves. “Everyone” sees no reason why they should not follow a set of values that has no objective base for them. On the left, state welfare gave autonomy to people and “liberated” them from dependence on each other under newly outmoded codes and values, making individuals dependent on the state rather than family and community. Single mothers have greatly benefitted from the state in both GB and the US since the mid-sixties. Marriage is seen to be a bourgeois arrangement, mostly exploiting mothers, with the result of a vast increase in single-parent families. On the right, the practice of liberated or free market economics without moral restraints, other than those created by a-moral market conditions has, by its concentration of wealth, made it that much more difficult for ordinary folk to be socially mobile on a path to assets, ownership and trade. In fact, both right and left embrace libertarian values, free from the limits imposed by reality, economic rationality and God’s reminder of moral obligations to all that and to each neighbor. When was the last time you read Leviticus 19? Interesting that many looters took things they did not need or want, just because the occasion presented itself and everyone was looting something, anything; there is a parallel here to doing what the market allows. Forgotten is a deeper problem we have created through neglect of greater knowledge of what goes on in the a person’s brain in very early childhood: -- children growing up as “‘singles’” (without a close attachment to their parents in homes where specific conversation, reading and explanations are normal) do not develop their physical brain for critical thinking, logical connections, enterprising reflection and exploration. They respond to images, but do not reflect or analyze what surrounds them. They grow up without the tools necessary to take responsibility and will therefore be blown about by every opportunity to “be” whatever the occasion permits. Destroying the social and educational fabric of the family has physical, emotional, and intellectual consequences for the whole society and makes it that much more unlikely that people will make moral and intelligent choices. Or that they will learn a skill patiently, at length, and therefore become unemployable in a modern society. The advantage of market economics, the allocation of resources through decentralized decisions of buyers and sellers, is a kind of spontaneous order. Hayek’s affirmation of freedom from coercion by government is wonderful. But one must not forget that the same Hayek also understood that this freedom can only be exercised when laws of government provide other resources, such as possibly compulsory (yes, that is what the man who feared serfdom said!) health insurance, education and ways to limit other social actors like wealthy elites or corrupt officials. This dual concern shows that with both more and fewer regulations bad consequences can cascade down our way. We always live on a slippery slope on both sides of a mountain pass. Whether we find surer footing, or swing back and forth, is a matter of the moral and intellectual fiber of people, not a question of markets and social concerns. In fact, Schaeffer was quite specific and differentiated carefully between the right of revolt from John Locke’s writings and the need to avoid greater evil from idealism. On page 489 Schaeffer continues a quote with a reference to the American Declaration of Independence: ”Whenever civil government becomes destructive of these rights, it is the right of the people to alter and abolish it and institute new government.” Schaeffer was always very much aware of the burden of unintended consequences and therefore spoke both for some, civil and political actions, and tried to restrain other kinds of actions. Schaeffer was well aware of the temptation to “kooky people” to take the law into their own hands. He warned against anarchy, and is therefore not responsible for what some abortionist’s killer and others have justified with reference to Schaeffer. There is no call for vigilantism found in Schaeffer’s world, when other means are available. The defiance towards a false and counterfeit state, which Schaeffer has in mind on page 483 relates to hiding Jews in Hitler’s realm. 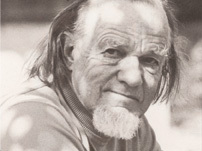 Schaeffer did not seek, did not accept and at all times tried to avoid becoming a front man or a driver of the religious right. While advocating political participation and moral justification, he was always the restrainer of the wild men out there. He flew to Mr. Falwell to restrain him, not to put fuel into his fire. The same goes for Pat Robertinson, Jim Kennedy and others in his time. He did not incite them to what they choose to do. He saw no necessary benefit from a government composed of only or even a majority of Christians. ; Iinstead he taught and worked for lawful opposition, a changing of people’s minds and the renewal of government bythrough a change of heart, mind and purpose by legitimate means. In his recent piece in the NY Times (August 29, 2011) columnist Ross Douthat quotes this from Schaeffer: “… we must make definite that we are in no way talking about any kind of a theocracy. Let me say that with great emphasis. Witherspoon, Jefferson, the American Founders had no idea of a theocracy. That is made plain by the First Amendment, and we must continually emphasize the fact that we are not talking about some kind, or any kind, of a theocracy. In the Old Testament there was a theocracy commanded by God. In the New Testament, with the church being made up of Jews and Gentiles, and spreading over all the known world from India to Spain in one generation, the church was its own entity. There is no New Testament basis for a linking of cChurch and sState until Christ, the King returns. The whole “Constantine mentality” from the fourth century up to our day was a mistake. Constantine, as the Roman Emperor, in 313 ended the persecution of Christians. Unfortunately, the support he gave to the church led by 381 to the enforcing of Christianity, by Theodosius I, as the official state religion. The practical problem is that the “kooky people” whom Schaeffer had in mind, instead of working to make better laws, often wish to take the law into their own hands from a belief in the rightness not only of their cause, but also of their means. They fail to remember that Scripture is much wiser and more realistic (of course!) when it requires in requiring much to establish wrong and possibly guilt: -- two witnesses, a psychiatric examination of the criminals to establish the degree of accountability, allowing for a cooling-off period before reacting (modeled after the cities of refuge in the Old Testament and the preparation of the prosecution case in our modern procedural law), appointing a defense attorney and considering that the punishment must fit the crime. At all times the door must be open for a possible appeal process to a higher court, as Numbers Cchapter 15 illustrates. Isn’t such carefulness, such hesitation and integrity not what we should always keep in mind when we are admonished to love our neighbor as ourselves? Life is often not only far too complex for simple solutions. It also revolves around sinful people, judges and accusers alike. For Schaeffer it was the “kooky people” who want to make their own law. ; tThey are in fact the anarchists Schaeffer spoke against. They want to have the license to kill, maim and repel without law and proper accountability, assuming like the school of dominionism or rescontructionism, that the evidence of guilt and the application of laws is always easy and self-evident. They want to take over from out of a belief that they are on the right track, without at all times exposing their vision at all times to the correcting effect of other community members. There was no one program;, the goals were not delineated in a single book;. iIt was peculiarly the product of a democratic society. In newspapers and pamphlets we find evidence that Americans of all conditions joined this great debate — men like William Findley, a weaver and farmer in Pennsylvania, and William Thompson, a tavern keeper in South Carolina. From the start, this new way of thinking was consciously conceived as an open process. Samuel Williams, a country clergyman in Vermont, observed in 1794 that the American system “contains within itself the means of its own improvement.” It created a process of permanent reform that proved more durable than Trotsky’s permanent revolution. Allow me one more thought in relation to the riots and other troubles: They are more likely first of a social nature before they deteriorate into a criminal one. Unemployment, failed expectations from exaggerated self-image, and real poverty in a world focused on consumption relate not only to real economic problems. In fact they have, first and foremost, strong social roots. When the education of my neighbor’s child is neglected, because I started a school for my own, all people do not have an equal opportunity. Poor education, poor diet and health, minimal parenting and few livingfe patterns adapted to the stages of a child’s development join too many rules and too few reasons. Often shallow, though entertaining, churches, where substantive teaching about God and life is replaced by morality tales. : aAll that and much more contribute to a disintegrating and malfunctioning society. We produce what is an underclass of people. We expect them to follow along and surpass us, but have not invested in them what is necessary to do that. We live with our illusion that this will not affect us, when in fact our neighbors are too poorly equipped to be hired for our business. But all that is Neither Necessary nor Inevitable, if we struggle with more integrity for God’s human race and seek to implement justice, help for the poor, and bind up the wounded.